UrbanDigits has been dedicated to providing innovative creative solutions for the retail industry. From small stores to mega malls we have been creating change, orchestrating innovative identities and winning numerous awards for superior work. We understand the importance of individuality in an extremely competitive market. We strive to create identities for our clients, branding their businesses full of color and character helping them to stand out from their competitors. Currently, our licensed products can be found in thousands of boutiques and retail stores across the country including Kohl's, Target, Trader Joe's, Whole Foods, Walmart, Lowe's, Barnes & Noble and HomeGoods. We have a passion for what we do and prove it by our commitment to hard work and creativity. We design promotional catalogs and email blasts for corporate, and retail agencies such as: Macy's,Talbot's, Lord & Taylor, Limited, Laura Ashley, Bullock's, Wathne's, Bass, AnneTaylor, Estee Lauder, The Academy Natural Science, Fortunoff, Spiegel, Jos. A Bank, Chadwick's, J.C.Penney, and Bloomingdales. UrbanDigits produces large publications to small brochures for a diverse range of corporate clients via global networks in print and electronic DVD formats, using state-of-the-art graphics software and equipment. Our responsibilities include control of all phases of production implementing electronic composition for direct-to-plate imaging, as well as production. Check out our urbandigits blog for all the latest trends in stationery product patterns and designs. Link to the design blogs we follow and get the inside scoop on product design trends in gift giving. Denise Urban's whimsical product design, stationery art and surface designs are being represented by Suzanne Cruise Creative Services at the Las Vegas Expo on June 21-23, 2016 Mandalay Bay. Denise Urban's product design stationery art and surface designs are being represented by Suzanne Cruise Creative Services at both the Surtex Show on May 15-17, 2016 and the National Stationery Show on May 15-18, 2016 for stationery and gift trends in 2016 and 2017 at the Jacob Javits Convention Center. 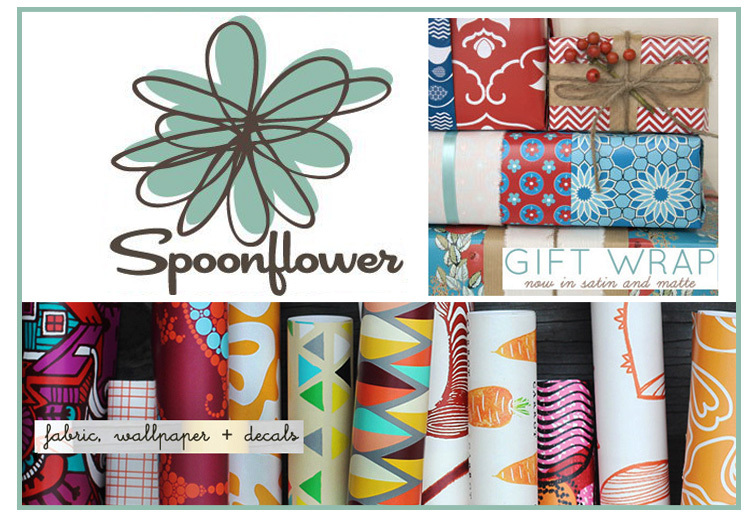 Spoonflower is an awesome fabric company. Each design can be ordered in a huge variety of fabrics from cotton, to canvas, to silk. You can even order a whimsical design as wallpaper or wall decals. Click here to see some designs created from our Spoonflower account. We love these prints and wanted to share them with you. Our collection is a mix of whimsical florals, geometrics and novelty prints. We have tons of sample fabrics in our studio, so we'll be using them for DIY projects here on the blog in the coming season. If you plan to order a large quantity of anything we always recommend ordering a sample swatch first! Gina B selects Urbandigits for their 2015-2016 series of cards. Our designs, will be distributed through independent card, gourmet, and gift shops, bookstores, mail order catalogs, online stores, boutiques, and clothing stores such as Stienmart, Bloomingdales and Neiman Marcus. Gina B cards are sold throughout the USA. Gina Bugee works endlessly creating fresh and unique designs. Check out our urbandigits blog or Pinterest for more up to date information! MEdge is an awesome company. At M-Edge,they're all about thinking outside the box, and being one of a kind. M-Edge fuses jaw-dropping designs with unique materials to create your ultimate accessory blurring the line between "tech" and "style". Check out our "Sometimes I Pretend to Be Normal" Collection! UrbanDigits signs contract licensing part of their Chinoserie Blossom Collection with Papyrus Greeting Cards for their birthday spring line. Papyrus greeting cards are distributed through Independent Card and Gift shops, bookstores, pharmacies, gourmet, mail order catalog, online stores, and boutiques throughout the USA. Check out our urbandigits blog for more up to date information! Check out our new product designs. Click here for more designs on Pinterest! Paper Magic Group selects Urbandigits for their winter holiday series of retro 40's and 50's, Christmas cards. Retro designs will be distributed through independent card and gift shops, and bookstores. 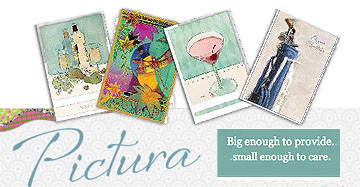 UrbanDigits designs seasonal greeting cards for Pictura: over 25,000 greeting cards sold to date! Check out our urbandigits blog for more up to date information! Pictura is Scandinavia's largest distributor of greeting cards, wrapping paper, stickers, party articles and gift products. Pictura has offices in Stockholm, Norway, Denmark, Finland, Germany, France and Poland. Click here for the latest designs published by Pictura. Design by UrbanDigits Copyright © 2014 All rights reserved.